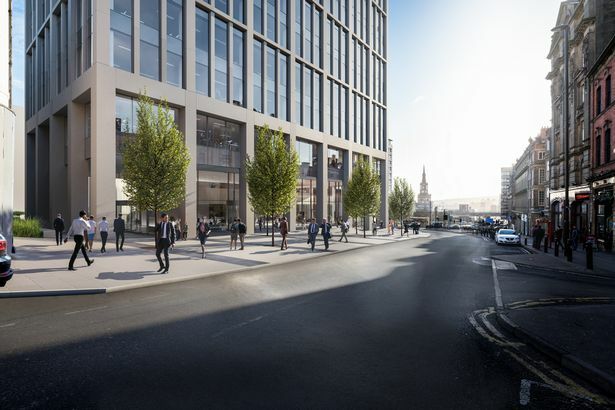 A £100m masterplan to breathe new life into East Pilgrim Street in Newcastle has been unveiled which could create 4,000 jobs as well as a new city centre gateway. Plans for the former Bank of England plot have already been revealed, showing how the empty site will be transformed through the creation of landmark office building Bank House. Now property consultancy Avison Young is drawing up plans for next phase of the regeneration of East Pilgrim Street, most of which is owned by the billionare Reuben Brothers, the prominent land owners currently ranked the 60th wealthiest people in the world in the most recent Forbes List. Avison Young has been instructed by Taras Properties – set up to drive forward plans on Reuben Brothers’ land – to start preparing a further, hybrid planning application for Bank House Square, a huge scheme which could create two further office building, a public plaza and a new underground car park. The Bank House Square site is set on the eastern side of Pilgrim Street and includes the former Bank of England plot, the former Worswick Street bus station and the NCP car park at Carliol Square. Byker Wall estate set for £4m upgrade led by Newcastle architects JDDK. Avison Young said the scheme, set to go before planners later this year, offers an exciting opportunity to create a landmark scheme for the city and has the potential to create more than 4,000 jobs. 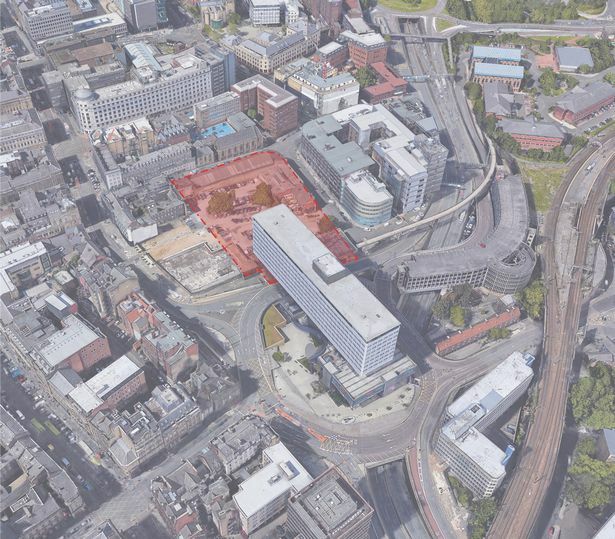 The application will include detailed consent for a new underground car park and high quality public square, together with outline consent for up to 400,000 sq ft of commercial office space. The first phase of the Bank House Square development will be the recently announced Bank House, a 14-storey, 120,000 sq ft Grade A office building which will be the subject of a separate planning application due to be submitted to council planners this month. Around £35m is set to be invested in the construction of Bank House, which will incorporate 10,000 sqft floorplates of clear, open plan column free space, and also have ground floor retail space and public realm improvements with planting and new seating areas and realignment of the junction of Pilgrim Street with the 55 Degrees roundabout. All told, at least £100m will be invested in the Bank House Square scheme. Further design studies are also being progressed by Taras Properties for Worswick Chambers, a listed building adjacent to Bank House Square. Commercial, town planning and project management advice on the scheme is being provided by Avison Young with architectural design by Ryder Architecture. Arup is providing engineering input.